Browse the armor. Imagine the event. Schedule the event. And experience a piece of yesterday today. The 1968 Cadillac Gage V-100 Commando M706. 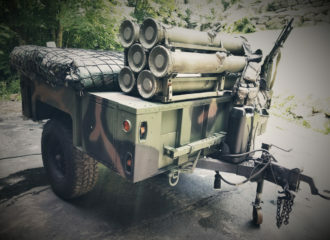 This movie star (“The Siege”) is 1 of 8 of this configuration in the known universe (MVPA). 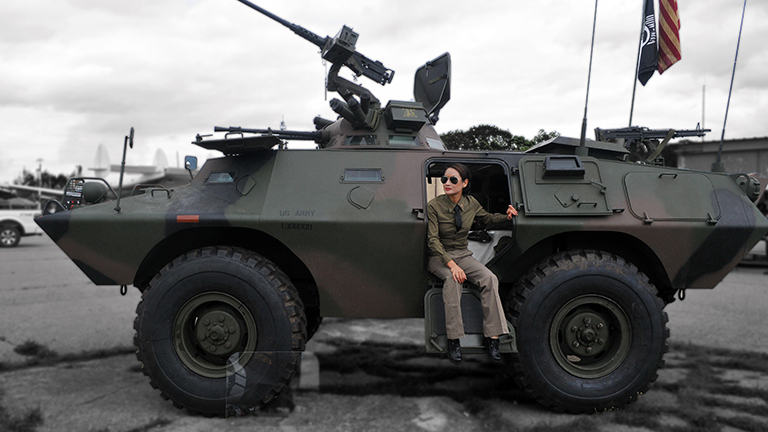 She was featured in “Classic Military Vehicle” Magazine in February 2009. She is six tons of armament complete, sim-fired, Cadaloy steel. 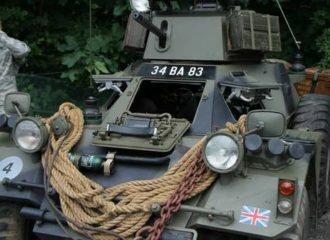 Daimler Ferret MKII This Cold War era two man reconnaissance vehicle is 3 tons of armament complete, sim-fired, off-roading steel. She features Bren, Sten, and Browning 1919a machine guns. along with everything from grenades to radios to tea thermoses. 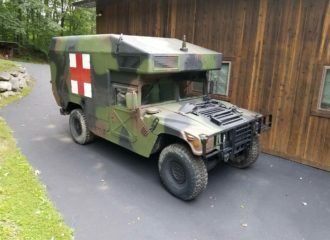 1990 AM General HMMWV (Humvee) M1026 Armament carrier. 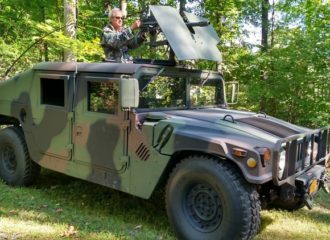 This armored vehicle is a fine example of earlier HMMWV development. The M1026 can sport a number of weapons and equipment. She is equipped with an MK-19 40mm grenade launcher, and both 50 caliber and M60 machine guns. This larger trailer is often dressed up in various ways. It is in fact a custom trailer. 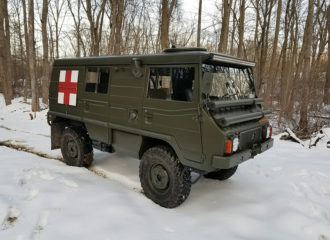 It is a self-contained, solar-powered command unit based on an M1101 cargo trailer. A tented portion unfolds from the top of the trailer in a fan like fashion. The trailer harbors the solar inverter and storage. 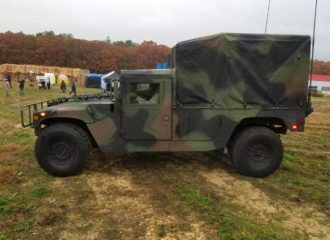 The MEP-803A (generator), on a single axle trailer, is a functioning 10KW Fermont diesel tactical quiet generator. It is invulnerable to EMP (electromagnetic pulse) weapons. 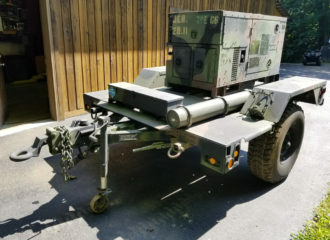 The fully enclosed self-contained, skid mounted unit, is made portable on this versatile M116 trailer.